Dr Valentín Fuster is Physician-in-Chief at the Mount Sinai Medical Hospital and Director of Mount Sinai Heart, the Zena and Michael A Wiener Cardiovascular Institute and the Marie-Josée and Henry R Kravis Center for Cardiovascular Health. He also holds the Richard Gorlin, MD/Heart Research Foundation Professorship at Icahn School of Medicine, Mount Sinai, and is the General Director of the Spanish National Centre for Cardiovascular Research (Centro Nacional de Investigaciones Cardiovasculares Carlos III, CNIC) in Madrid, Spain. Dr Fuster is the only cardiologist to have received the highest awards for research from the four leading cardiovascular organisations: the American Heart Association, the American College of Cardiology, the European Society of Cardiology and the Inter-American Society of Cardiology. Other key positions Dr Fuster has held include President of the American Heart Association, President of the World Heart Federation, member of the US National Academy of Medicine (where he chaired the Committee on Preventing the Global Epidemic of Cardiovascular Disease: Meeting the Challenges in Developing Countries, which produced the document Promoting Cardiovascular Health in the Developing World: A Critical Challenge to Achieve Global Health), member of the US National Heart, Lung and Blood Institute and President of the training programme of the American College of Cardiology. Dr Fuster has been named doctor honoris causa by 33 universities around the world. He is an author of more than 1000 scientific articles in international medical journals, and lead editor of two books on clinical cardiology and research: The Heart and Atherothrombosis and Coronary Artery Disease and Hurst’s The Heart. He was also Editor-in-Chief of the prestigious journal Nature Reviews in Cardiology. In 2014, Dr Fuster was appointed Editor-in-Chief of the Journal of the American College of Cardiology, the American College of Cardiology’s (ACC) flagship publication and the main American source of clinical information on cardiovascular medicine. Dr Fuster has received many prestigious awards including the Prince of Asturias Award for Technical and Scientific Research for his research into the origin of cardiovascular events in 1996, the Kurt Polzer from the European Academy of Science and Arts (2008), the international Arrigo Recordati prize for his contribution to advances in the area of cardiovascular imaging (2009) and the Grand Prix Scientifique of the Institute of France for his translational research into atherothrombotic disease (2011). 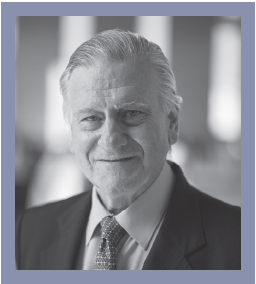 In 2012, Dr Fuster was named by the ACC as one of the Living Legends in Cardiology Medicine, and was awarded the Research Achievement Award, the highest award given by the American Heart Association. In 2013, Dr Fuster was awarded the Ron Haddock International Impact Award by the American Heart Association and the American Stroke Association in recognition of his global leadership. In May 2014, King Juan Carlos I of Spain granted Dr Fuster the title of marquis for his “outstanding and unceasing research efforts and his educational outreach work”. In addition to his dedication to research, Dr Fuster is strongly committed to communicating to the public which has led to an upcoming documentary, the publication of seven books and the launch of the Science, Health and Education Foundation (SHE), of which Dr Fuster is President, directed at improving public health, especially in the young.